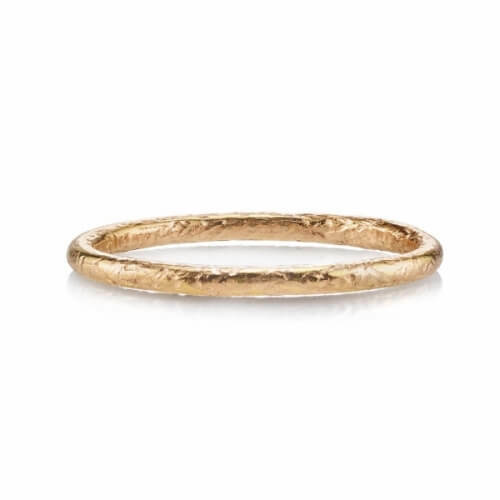 A Vintage Wedding Band designed with a peek into the future with an extremely unique and trendy design. 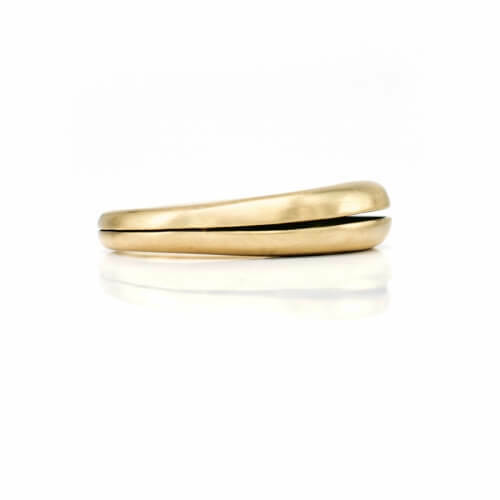 The tapered 14 karat Yellow Gold Matte Finish Wedding Ring features an open fluted top which measures 4.30 mm high. 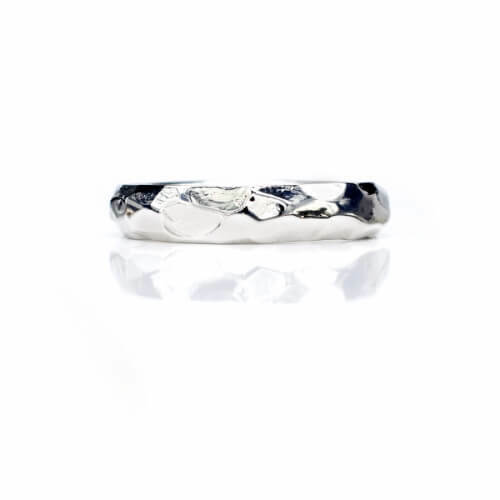 The band is 5.25 mm Wide across the top and slims down to 3 mm at the bottom of the shank. 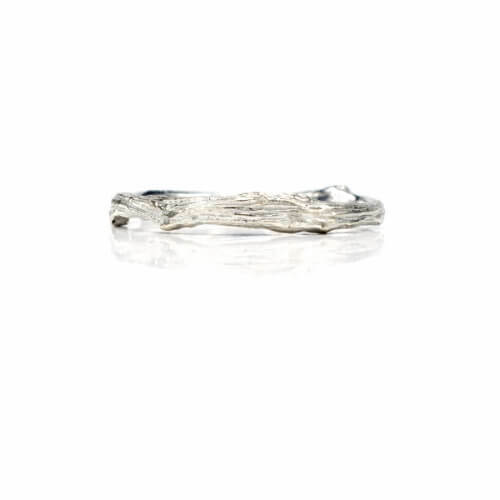 Ring is available in size 5.75. Size can be adjusted.